If you’re looking for a wide selection of new and used vehicles, first-class service, competitive auto financing, and the ability to serve Spanish speakers, Rallye Acura is the dealership for you. We are committed to providing a transparent experience that is fun and hassle-free for all of our Spanish-speaking customers from Port Washington, Manhasset, and the surrounding communities. Read on to learn more about the services we offer. We offer a number of different cars, trucks, and SUVs, including the latest models from Acura and used vehicles from a variety of leading automakers. 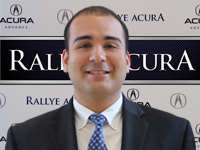 Spanish-speaking customers around Port Washington and Manhasset will find an exceptional selection at Rallye Acura. Whether you’re after the sporty Acura ILX or the popular Acura RDX, we are prepared to help you find the right vehicle for your needs — and to help you secure an extremely competitive financing or leasing package. Our inventory is constantly changing, so be sure to check back often to find the car of your dreams! Bring your current vehicle to our state-of-the-art service center and allow our skilled technicians to take care of all of your maintenance and repairs. Whether you’re in need of an oil change and a tire rotation, or if you need something more involved like a transmission repair, our service team can get the job done, and our Spanish-speaking team members can help ensure that everything goes smoothly. You can schedule auto service online or call our service department at 516-368-8839 to make an appointment. 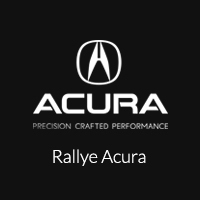 We hope our customers from Port Washington and Manhasset come to Rallye Acura soon to find out more about all the services we offer. If you have any questions, you can contact us online or call any one of our team members who speak Spanish. Visit us today!